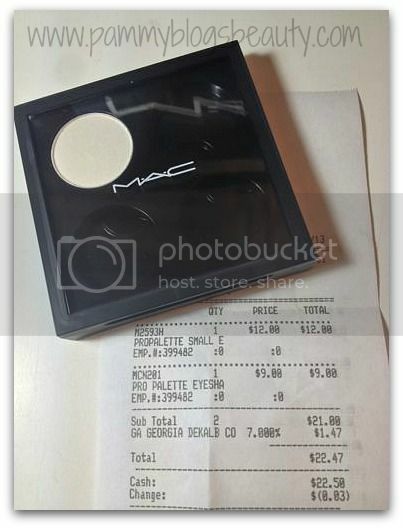 Pammy Blogs Beauty: MAC Matters: Building a Core Collection with $21 a Month: January 2013 Challenge! MAC Matters: Building a Core Collection with $21 a Month: January 2013 Challenge! It is time for my next installment in my monthly MAC Matters: Building a Core Collection with $21/Month series!!! Get in on the FUN! Join this Challenge!!! The idea for this series came to me when I was reviewing a recent sample box subscription. Why take the gamble with paying a monthly fee for products that I might (or might not) like? I realized that my money really could be better spent! I can buy a MAC item every month for less than that and you know what? I know that I will like it! When I looked at what I spent on some of my sample services over time, I realized that I wasn't getting a lot of products that I truly loved. Sure, the experience is super fun and I got introduced to a lot of new brands...but, I didn't end up with a lot of products that I am totally in love with. I still love participating and reviewing sample boxes (and sometimes I even still review PR samples of GLOSSYBOXes)! I just needed to cut back a bit on my beauty box subscriptions. I don't need 3 sample box subscriptions, lol! So, I cancelled one of my subscriptions and this MAC Matters Challenge was born. Now, I am a still a bit of a beauty sample box lover. So, you will still see beauty box subscriptions reviewed here on my blog. :) In addition, you will now see my monthly MAC Matters Challenge posts too! This way you can see how much you can get when you spend the same amount of money per month on a brand that you already love (with the goal of building a core collection). Did you miss my past few challenges? Be sure to check out: MAC Matters: Building a Core MAC Collection with $21 a Month (Intro Post), MAC Matters November 2012, and MAC Matters December 2012. Also, be sure to check out my fellow bloggers who have joined in this challenge! Some link their posts in the comments below (so, feel free to if you participated!) and some have emailed me their links: Quinn from Mama Fashionista (fellow MABB, BBC, and Blogazon girl!) and fellow Blogazon Rachael from Rachael Makeup and Skincare. 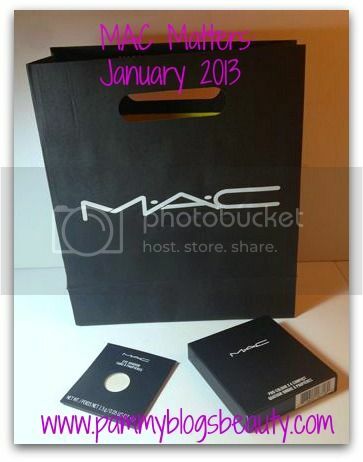 Curious about what I got for the MAC Matters Challenge for January 2013? Keep reading to find out! So, what did I decide upon for my MAC Matters Purchase this month? After bit of deliberation, I decided upon a MAC 4-Pan Empty Shadow Palette and one Pan Eyeshadow in White Frost. I am so excited about my purchases!!! White Frost is such a great basic shade! Unlike the name suggests, it really isn't frosty! 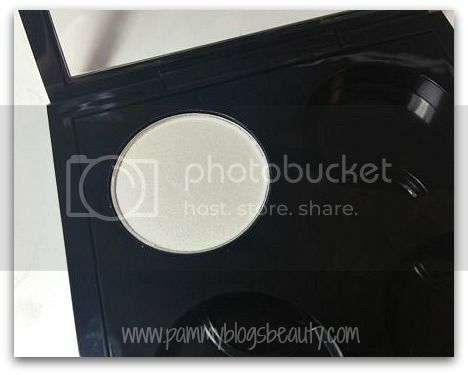 It is a beautiful bright white mostly matte shadow with a subtle hint of shimmer. It is just perfect for brightening up the inner tear-duct area and it is also great for a brow highlight. The Empty 4-Pan Palette is such a versatile item!!! Rather than purchase a bunch of individually packaged MAC eyeshadows you can create your own quad or a larger palette with empty palettes from MAC (or use a Z-palette). I have a long-term plan. Ultimately, I would like to transition to all pan shadows for my eyeshadow single purchases. I love the idea of being able to customize your perfect palette. For this year-long MAC Matters challenge, I going to build my ideal eyeshadow quad. I am so excited!!! So, this quad is offically started with my single White Frost shadow. Honestly, I have literally wanted to start building my own MAC Custom shadow palettes for *years*!!! I am not sure why I never did before now! Ya'll know how it is. 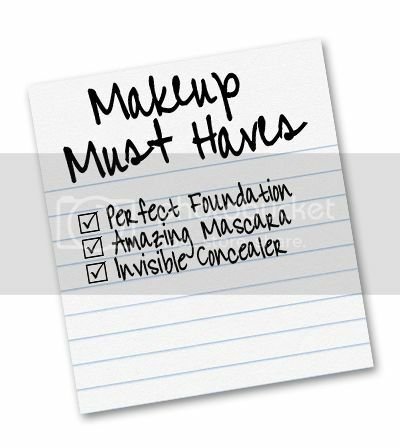 Do you have a million items on your makeup wishlist too? I always want the "newest" or "latest" item. When I do feel like doing some makeup spending. I tend to go for the "new and shiny" limited edition collections or the latest product releases. When I do that, I neglect the great essential basic items that I "need". 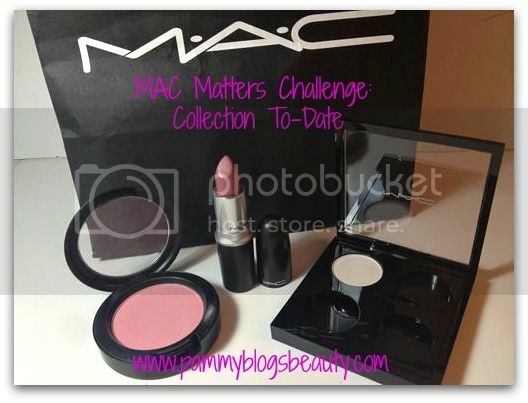 This is exactly why I love this MAC Matters Challenge! I am challenging myself to get these core items on my list! So, I decided to start building my perfect customizable MAC eyeshadow quad with White Frost. I am a huge fan of white shadows. I know that not everyone can wear white shadow as a highlight. However, I find that it is an extremely useful and easy-to-wear shade! I can highlight my beneath my brows, use in inner eye corner, or use all over the lid. With my very fair skin, it does not look too light as a highlight. I am just in love with my purchase this month. Sure, it is a quad with only one shadow in it, lol, but I am dreaming of the quad that it will become! I already have quite a few shades in mind for the rest of the palette. Now the hard part, narrowing down the shades to find the perfect 4! Check back in within the next few months to see the quad grow! This is so fun!!! *Be sure to check out my fellow bloggers who have joined in the Challenge! This MAC Matters Challenge continues to be so much fun!!! Join in the challenge if you like! :) Also, I would love to hear absolutely any suggestions for what I should purchase next month!!! If you want to go the neutral route, I would look at Satin Taupe, Brun, Wedge or Cork, Carbon, Soft Brown, Vanilla, Woodwinked. 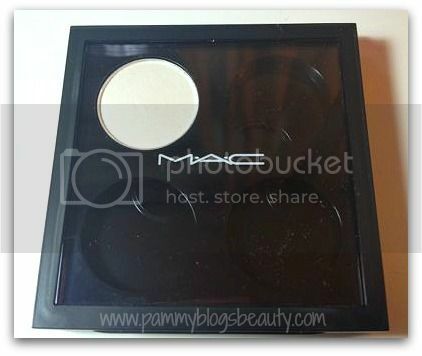 MAC Pro pans are definitely the way to go if you're working on building a MAC core collection! I joined! Here's my link for Jan! @Virginia-Yay!!! Glad you joined!!! :) Heading over to read your post! Thanks for joining in!!! @Katie-Yay!!! I am so glad that you want to try this challenge, too!!! Exactly, curbing spending with smart buying. No reason to deny ourselves! Just shop smart and purchase items that you will really adore! So glad you want to join in the fun!!! @Legnalos-Yay!!! Glad you are joining in too! You certainly do not need a beauty blog to participate! Be sure to come back and comment on my Feb MAC Matters challenge (and every month)to share what you purchased! :)Have fun with your MAC shopping!! !